The longest season ever isn’t over yet! Every season I like to experiment with something – sometimes to see whether little changes lead to improvement, status quo, or degradation, and sometimes just to challenge myself in different ways than I have in the past. After a 2013 in which I – thanks to taking a sabbatical from full-time work – had higher training volume than ever, 2014 has seen my return to the working world and a corresponding decrease in training volume. My two fastest Olympic-distance races of all time: Folsom in 2:14 and Age Group Nationals in 2:12, again with the usual swim times. Oh, and I turned 52 this year and have been doing triathlons since 1983. So what gives? I had a great volume base from last year, so I was able to “sharpen” off of that base by increasing intensity as I decreased volume. No matter what was going on with work or other aspects of my life, I made sure to get the key sessions in: “big gears” on the bike, threshold on the bike, long ride, extended fast run (marathon race pace or faster for 4+ miles), long run, and occasional long swims. Most of these were weekly; others bi-weekly. I squeezed in frequent-but-short swim and bike sessions whenever I could. Sometimes this meant catching 20 or 30 minutes of a 60-minute masters swim session; other times it meant getting on the bike trainer at 10 pm after a business dinner with a couple of glasses of wine (these weren’t quality sessions but weren’t super easy, either). I went to my ART “miracle worker” almost weekly and was pretty good about doing the exercises he gave me. And I also regularly use “the poofy pants” – my NormaTec graduated compression boots (which I paid for, btw, lest the reader think I’m shilling for them) – to help my legs recover between workouts. I raced often – once or twice per month – which not only got me fitter but also took the pressure off of any particular race. 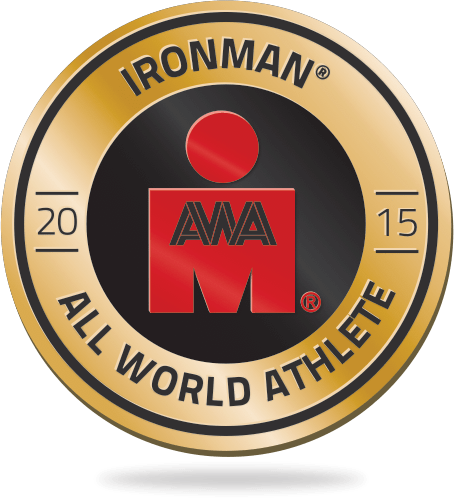 This is much easier to do with shorter races than it is with Ironman, which is more “all or nothing” since that distance necessitates longer taper and recovery times. I traded off run volume in favor of bike volume. Perhaps I get away with this because I have a running background and am of a lighter build, but I also find as an older athlete that quality runs take longer to recover from than quality bike sessions do. Also, it has to be said that the biggest factor of all in my ability to continue to set PRs is that my PRs weren’t that good to begin with. So my best asset is my longevity – I’m still competing, and I’ve just slowed down less than others. And avoided catastrophic injury. I neglected my swim strength for a while during a phase in which I was using my precious little swim volume to focus on technique, and it showed in my swim times. I’ve since added back a lot of basic upper-body strengthening, including regular sessions (as long as 90 minutes) on the Vasa Ergometer. I “trained through” a couple of races, including doing hard rides the day or two before the actual races, which ended up costing me a couple of minutes and podium places in those events. I adjusted by adding in three-day “mini-tapers” to allow myself to be fresh, even if not really tapered in the classical sense. I occasionally dug myself into a “training hole” with workouts that had a combination of high volume and intensity. After the fact, of course, I could see this numerically in TrainingPeaks through TSS numbers – when you do a session whose TSS is 50% or more of your average weekly volume, you’re gonna feel it! These big sessions are necessary, of course, but the lesson I took for my current year of lower overall volume is that I need to rest before these big sessions and make sure I recover for a bit longer after them. I’ve got two races left in the season: Challenge Rancho Cordova (a half Ironman) this weekend, and Ironman Arizona in mid November, in which the goal is to re-create the magical race I had there in 2012, where I managed to get 3rd in M50-54 and a Kona slot. It’s going to require solid race execution and a good deal of luck, but all I can do is focus on the former, since that’s under my control, and hope for the latter. Next Post → Coach, heed thyself! Impressive what you have done since turning 50, while the rest of us are falling apart! A lot of this is due to meticulous prep on your part and leaving nothing to chance. Heck ,even for Ironman Arizona:you are also addressing the luck component by securing your good luck charm Alexa in your support crew (or should I say luck charms, since I was there for that magical race in 2012). Looking forward to you crushing it again!